Google News continues to be an important source of traffic for publishers, in particular from the news OneBoxes that are frequently included in regular Web search results. While most news search optimization efforts rightly focus on editorial best practices and avoiding Google News errors, there are some additional opportunities that are worth taking advantage of. If you aren’t utilizing each of these I recommended adding them to the mix. 1) News_keywords tag – Use the news_keywords tag to provide up to 10 defining phrases for each article. While not as impactful as key news search optimization tactics, the tag offers another way to establish the topical relevancy of your content. 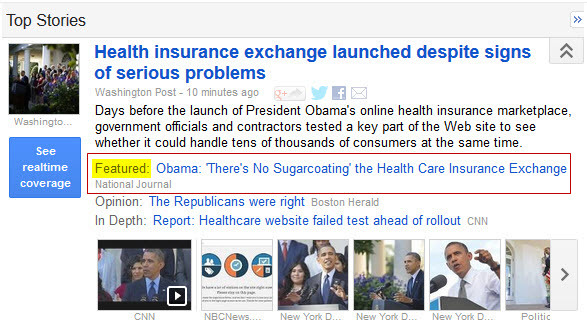 As I covered in Google News news_keywords Meta Tag: More Cons than Pros? the key is to treat it as a supplement and not a replacement for fundamental editorial SEO. 2) Standout tag – With the standout tag you can highlight up to seven articles per week, which offers a way to give an extra boost to priority content. 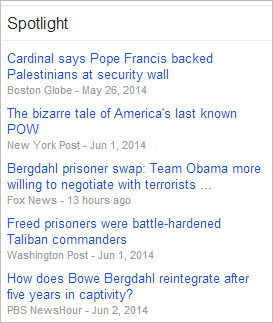 This can result in articles being given the “Featured” label within the news search results. I did a 90-day study of standout tag usage last year and found that “Featured” articles do appear in Google News multiple times nearly every day. There are some specific guidelines to follow for the RSS feed. You can create separate feeds for the Google News homepage as well as specific sections (like Business or Technology) if you have applicable content. 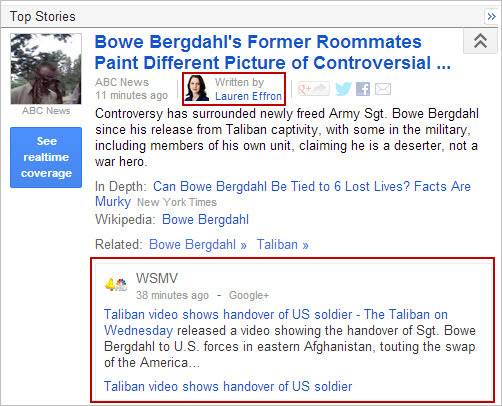 4) Add images to Google News sitemap – Make sure you are including image-specific tags in your Google News sitemap. This will increase the likelihood of your article images being pulled into clusters and other locations in the news search results. There are some general guidelines for images that you should adhere to as well. 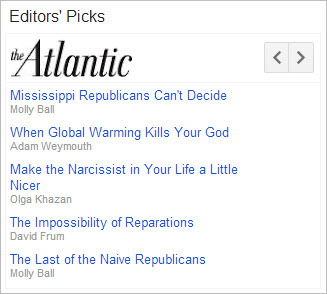 5) Google+ and Google Authorship – Google News will sometimes feature Google+ posts from brand pages and individuals among the regular news search results. In addition, through Google Authorship authors on Google+ can get a thumbnail image in the results, similar to Web search. This is another reason that active participation in Google+, at least to some degree, is still worthwhile. On a related note, if you embed Google+ posts in articles it is important to include enough additional editorial text to meet the 80 word minimum for indexation. 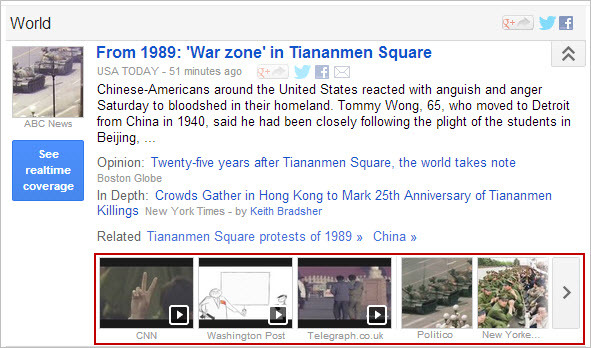 6) YouTube videos – Video content from YouTube is also featured within Google News. Videos embedded in articles can be crawled but setting up a YouTube channel and notifying Google News increases the likelihood of your videos being pulled in. 7) Spotlight – the Spotlight section and the module on the home and channel pages is algorithmically generated, but if you regularly publish longer-form articles and opinion pieces you have a chance of being pulled in. Yoast recently came out with an updated version of their News SEO plugin for WordPress. In addition to creating Google News sitemaps (including the image-specific tags), it supports the news_keywords tag and standout tag and it can create an Editors’ Picks RSS feed. Plus it has a number of other features that are specific to Google News. So if you do not have the time or resources to develop some of these things in-house, the News SEO plugin is a great option.